It’s back. The ‘Metallic Silver’ Air Jordan 5, originally released in 2000, returns remastered. 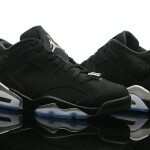 The shoe features a white leather upper, metallic silver detailing and a reflective tongue. Check out more angles below and pick these up in stores or online (10am EST Release) Saturday, April 4th for $ 190. See Launch Locator for stores. The Jordan 4Lab1 is a sleek and eye-catching model that features a lightweight netting throughout the upper, as well as a black mesh underlay that creates a distinct look. 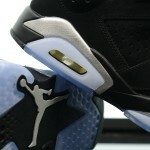 The silver tones of the “Air Flight” insignia are visible on the shoe’s tongue, Air Jordan 1 Wings logo and Nike Swoosh. The reflective aesthetic is featured throughout the entire base with a white midsole sitting atop an icy blue translucent outsole to finish off the look. 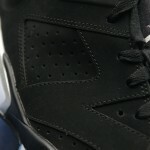 Overall, this sneaker is another exciting hybrid release from Jordan Brand this month. 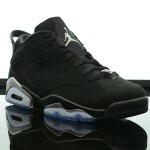 Available at Flight 23 Friday. The Air Jordan 1 is one of the most iconic sneakers of all time and began the sneaker craze as we know it today. In recent years, it has also become Jordan Brands most versatile canvas for hybrids in which they combine the silhouette of the AJ 1 with design elements from another model. The Lab series takes that concept to another level and on the 4Lab1 we see “the infamous lightweight netting found on the Air Jordan IV is applied to the entire Air Jordan I upper, along with the iconic Air Jordan I Wings logo and Nike Swoosh.” An icy outsole below a white midsole matches up nicely with the translucent upper while the tongue branding also gets its inspiration from the AJ IV. The Jordan 4Lab1 “Black/Reflect Silver” drops on Friday, December 19th at select House of Hoops by Foot Locker stores and Footlocker.com (starting at 8:00 a.m. EST) for $ 185. 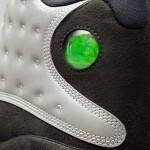 The Air Jordan 13 returns in a new reflective colorway. The reflective 3M material appears on the quilted upper and toe, while contrasting with black suede on the heel and black leather on the tongue. 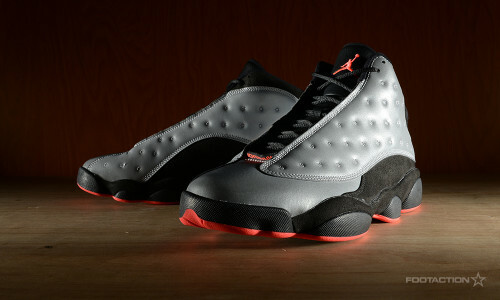 Another eye-popping element on the sneaker is its Infrared outsole and Jumpman logo. 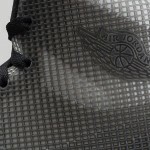 This premium shoe is completed by a “Jordan” label on the lace tag. 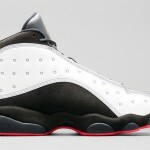 The Air Jordan 13 Retro returns this Saturday in a brand new reflective colorway. 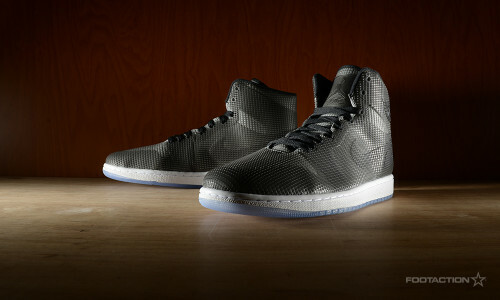 Reflective material on the quilted upper and toe contrasts with black suede on the heel and black leather on the tongue. Infrared on the outsole and Jumpman logo add a nice pop of color along with the original hologram inspired by the black panther eye. If you’re interested in copping a pair please read our release details below. In partnership with mall management, SELECT Foot Locker and House of Hoops by Foot Locker stores will implement a sweepstakes ticket procedure* in order to purchase the Nike Air Flightposite ‘Copper’ (on sale 10/4/14 for $ 185). The sweepstakes tickets will be given out on Monday, September 29th and Tuesday, September 30th. If your ticket number is selected, you will be notified by phone on Wednesday, October 1st or Thursday, October 2nd. These procedures are for SELECT STORES only. To find out which store near you will carry the shoe and if that store will implement the sweepstakes ticket procedure, please visit the Foot Locker Launch Locator. 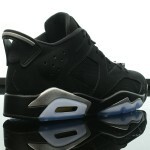 Kids sizes will also be available. 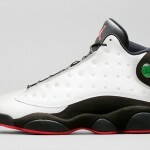 This release will be available on Footlocker.com starting at 8:00 a.m. EDT on Saturday, October 4th. 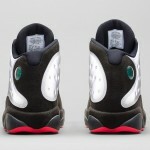 Kids sizes will also be available. A sleek and simple Kobe 9 Premium release will hit stores on Friday by way of the “Metallic Silver” colorway of Kobe Bryant’s newest signature shoe. This Kobe 9 Premium is a low top with an upper constructed out of engineered mesh greys, whites, and blacks sitting over Nike’s Flywire technology that contributes to the shoe’s shape, sturdiness, and style. Reflective metallic silver accents the shoe’s branding on the tongue, Nike Swoosh design on the upper, and the heel design. 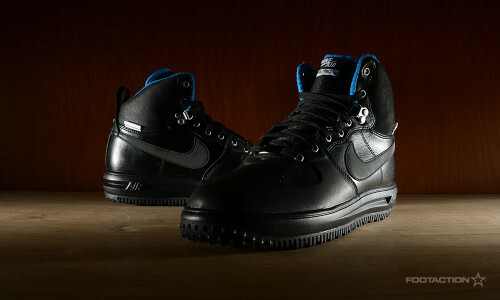 A black tongue and black laces contrast the lighter greys of the upper. The Nike Kobe 9 Premium “Metallic Silver” drops on Friday, August 1st at Foot Locker, House of Hoops by Foot Locker, Footlocker.com (starting at 8:00 a.m. EDT) for $ 170. 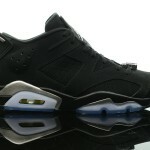 Check the Launch Locator to see which stores will have this release. The Jordan Lab series highlights specific materials and design materials used in the iconic Jordan signature series, and implementing them in new ways. The Air Jordan 3Lab5 “Metallic Silver” carries a Black and Metallic Silver colorway that is one of the most straightforward of the 3Lab5 series. 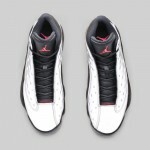 The design thinking behind the sneaker was to take the Jordan V silhouette and bring in elements from the Jordan III. The subtle all-over elephant print paired with hits of Metallic Silver on the midsole, an icy blue outsole and a clear and metallic silver lace lock that caps off the shoe.